Mmm, meatloaf! This classic comfort food favorite has been a staple since the 1950s for a good reason - meatloaf recipes are delicious! The only problem is the average meatloaf recipe isn't always good for you. 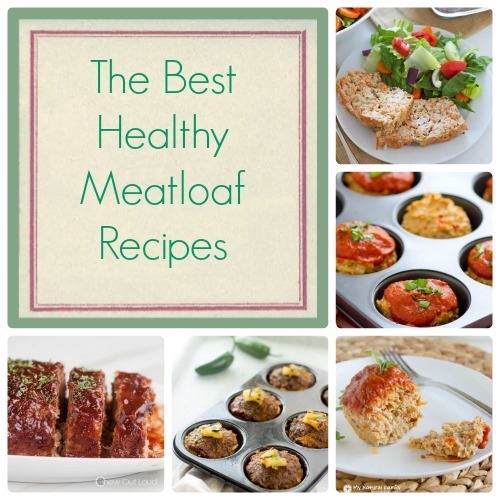 No worries, because you can now enjoy meatloaf recipes guilt free! Let these 16 Mega-Healthy Meatloaf Recipes show you how to make regular meatloaf that is light and delicious. Spinach-and-Cheese Stuffed Turkey Meatloaf - So delish! Want even more healthy recipes? Check out these Healthy Ground Turkey Recipes. You and your family will LOVE these Quick and Easy Dinner Recipes. They're perfect for busy families always on the go.